LNER B12 8572 Between Sheringham and Weybourne with the sea in the background on Saturday 21st April 2018. LNER B12 8572 at Weybourne with a train to Holt on Saturday 21st April 2018. LNER B12 8572 tender first between Weybourne and Sheringham on Saturday 21st April 2018. B12 8572 light engine at Weybourne with a Sheringham train on Saturday 21st April 2018. 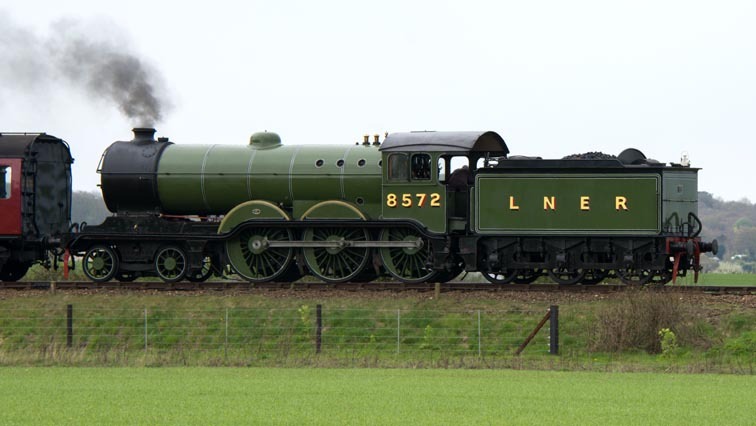 Ths LNER B12 was built in 1928 to what was a Great Eastern design, GER Class S69, which was also known as 1500 Class. 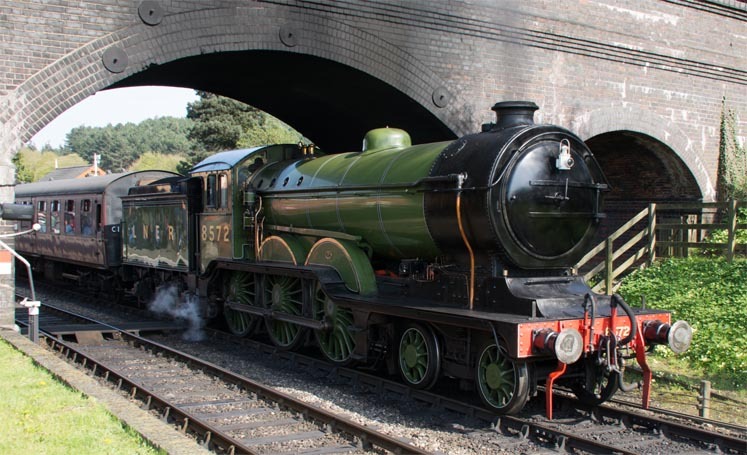 The London and North Eastern Railway classified the locomotive by being a 4-6-0 steam locomotive as B12 under there letters and number types .